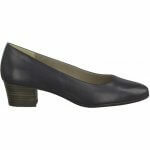 Marco Tozzi Pina 22306 women's court shoe. 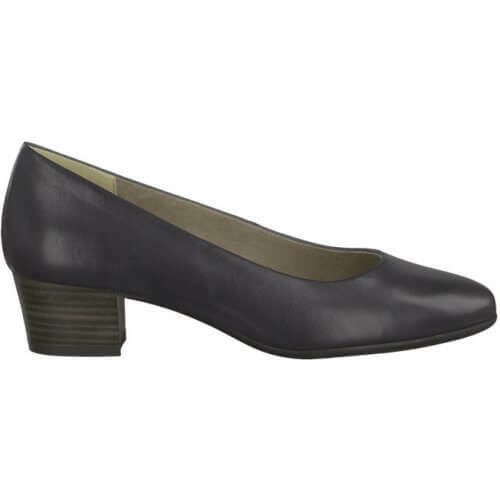 It features a classic and elegant design with a soft, smooth leather upper. 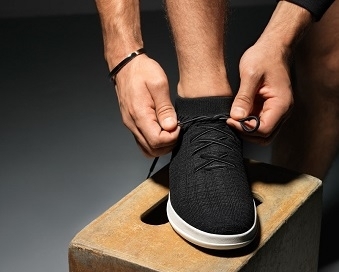 Sat on a 40mm block heel that provides a height boost while still maintaining stability. 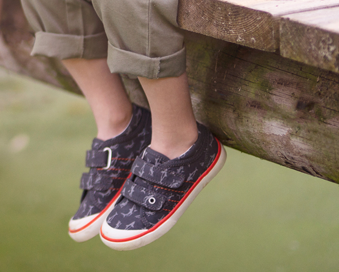 Underfoot, the "Feel Me" cushioned foot bed provides lasting comfort, making them ideal for every day wear. It is such a versatile style that never goes out of season and looks lovely with many outfits and fits many occasions. Slide into comfort with Marco Tozzi Pina 22306.